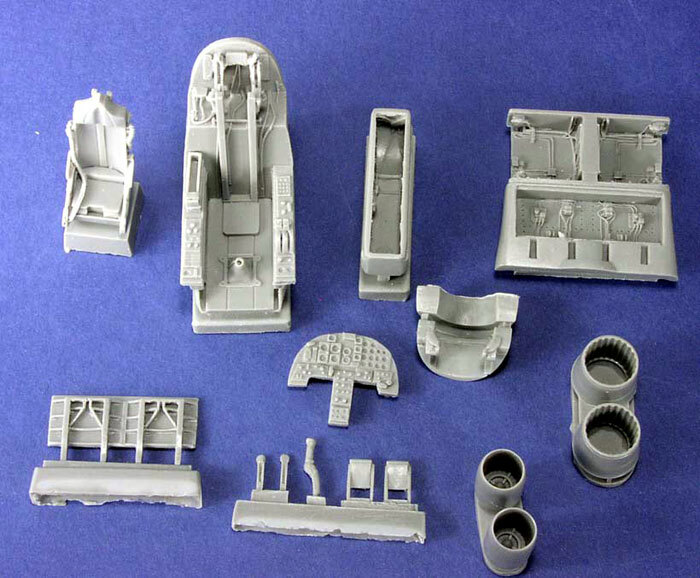 Contents and Media: Kit 485 - 74 parts and Kit 486 - 66 parts in grey styrene and 2 piece clear injection molded canopy. 16 parts in gray resin. 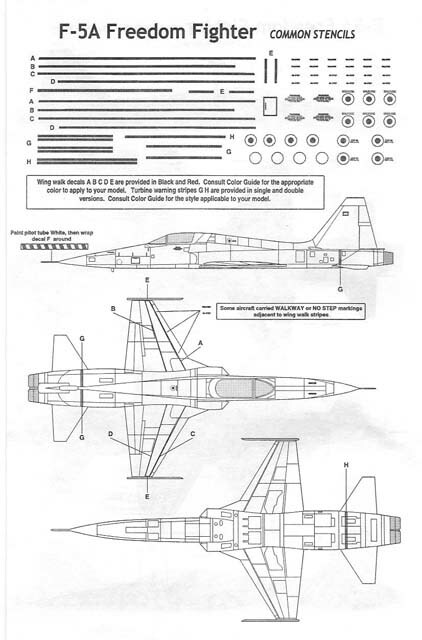 Instructions, decal sheet, including stencils, and painting guide for 3 aircraft. 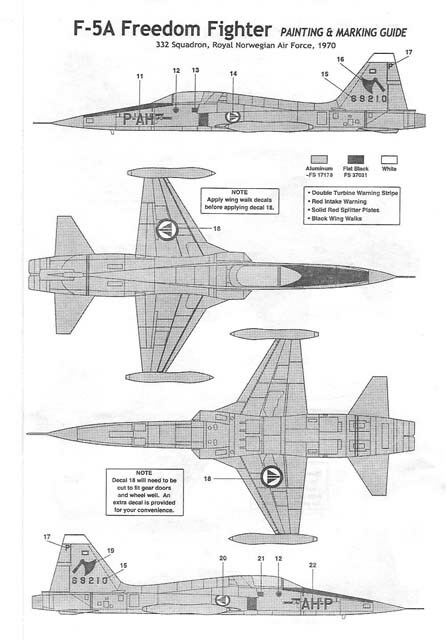 Advantages: A fine 1/48 scale F-5A; includes auxiliary tanks and ordnance; full set of stencils and excellent decal subject matter. I was in for quite a surprise when I opened the box from Classic Airframes and took out the pieces. First, it was not the Caproni Ca. 101 that I had been wishing for. Second, it did not look like a CA kit! 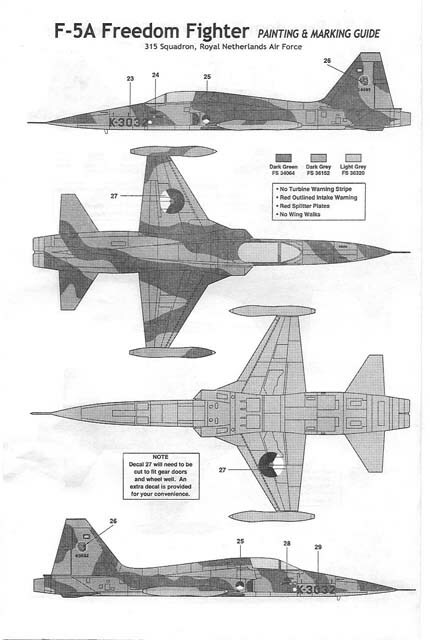 Classic Airframes’ F-5A looks more like a Hasegawa / Tamiya / Monogram kit than it does to any previous issue from CA. The sprue gates are smaller than on prior kits, and the panel lines are fine yet quite well defined. The styrene pour stubs are fewer in number than on the Meteor, and much less intrusive. And do my eyes deceive me, or are those alignment pins on the fuselage? All in all, it will be hard for this kit to be referred to as a limited run kit, even though it is. Clearly limited run (low pressure injection molding) has taken a technological leap. 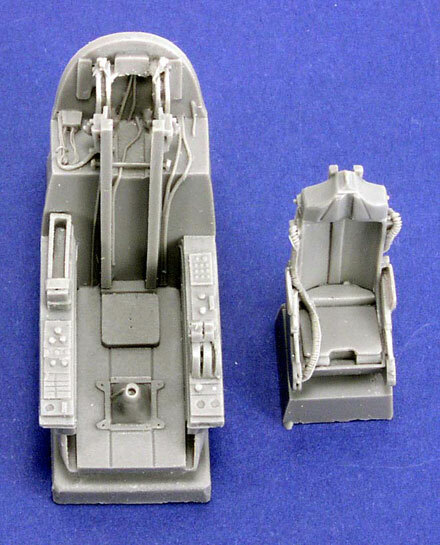 The other thing that makes this a departure from previous CA kits is the inclusion of auxiliary tanks and ordnance. 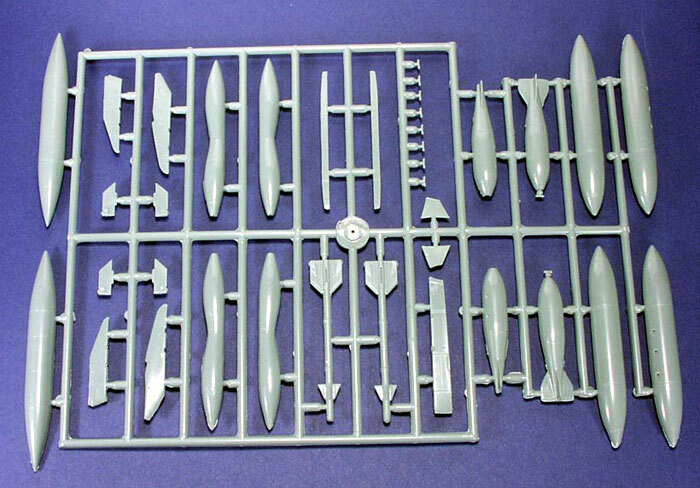 However, the specific contents of the “ordnance” sprue is kit dependent. Kit 485, “Freedom Fighter”, comes with the complete sprue. 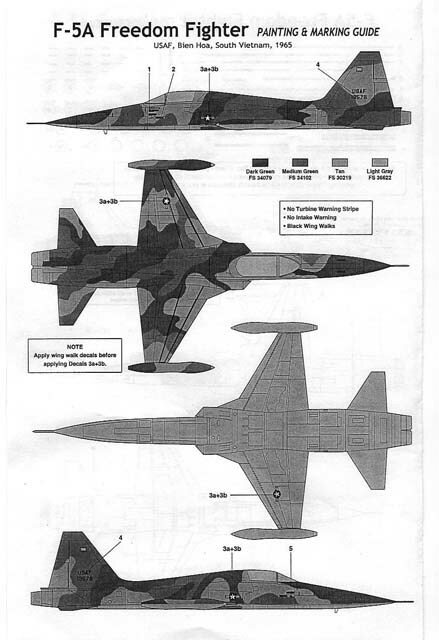 This includes, wing-tip and center line auxiliary tanks, wing-tip sidewinder missiles, 500 pound GP and napalm bombs. Kit 486, “NATO Allies Part I”, does not include the GP and napalm bombs. Yes, the speed brake, beautifully molded in resin, can be shown in the open position, and there is very nice detail in the speed brake bay. Of course, the speed brake may alternatively be modeled in the closed position. But not everything is perfect - there is a packaging problem. The clear parts are in loose with the main sprues. As a result, the clear parts are easily scratched. A little dip in Future should restore it. The smaller resin parts are also subject to damage, even though packaged separately. Now for the big question. Is it accurate? 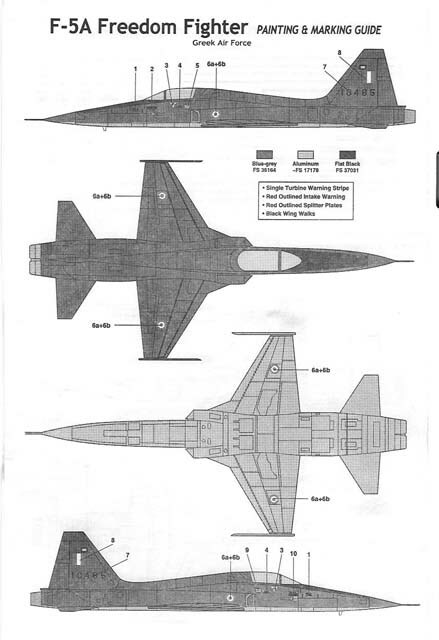 I’m certainly no expert on the F-5, let alone jets in general, but the Classic Airframe’s F-5 captures the sleek, dart like appearance of the F-5. I’m sure others will come forward, who have better documentation than I have, to provide the specifics on shape and dimension. 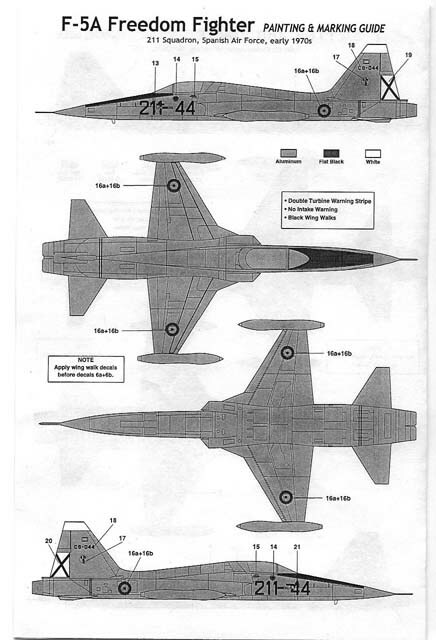 But please permit me one throw away line at this point: - “It looks like an F-5A to me”. 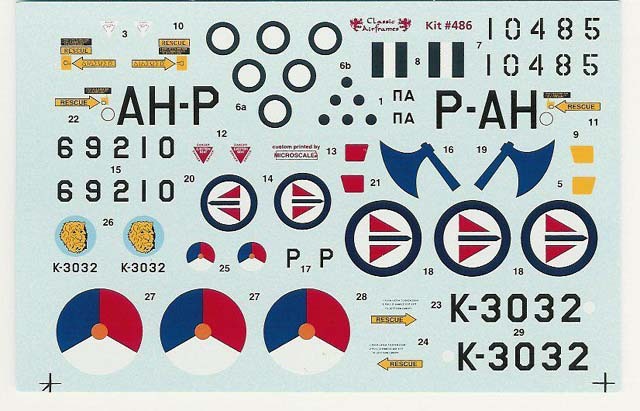 Each kit comes with markings and painting guide for three aircraft. 211 Squadron, Spanish Air Force, early 1970s – Natural Aluminum Finish. 315 Squadron, Royal Netherlands Air Force – Dark Green, Dark Grey and Light Gray. No, the USAF national marking are not printed incorrectly (WW-2 style)! The red bar is printed separately so neither registration nor sharpness of the printing is compromised. 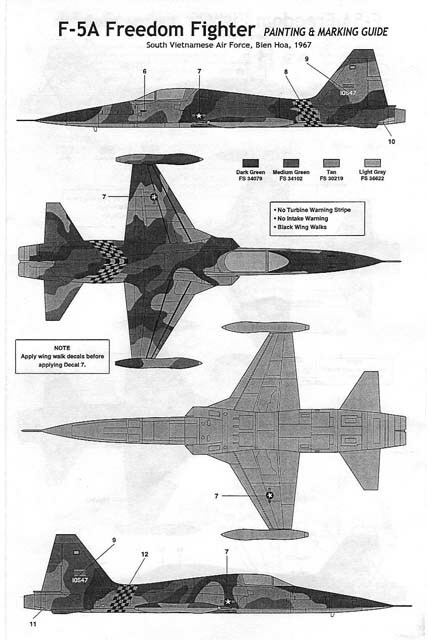 Also, three different blues are used in the national markings in the NATO Allies boxing so that the actual national marking colors are accurately represented. No cutting corners on these sheets. 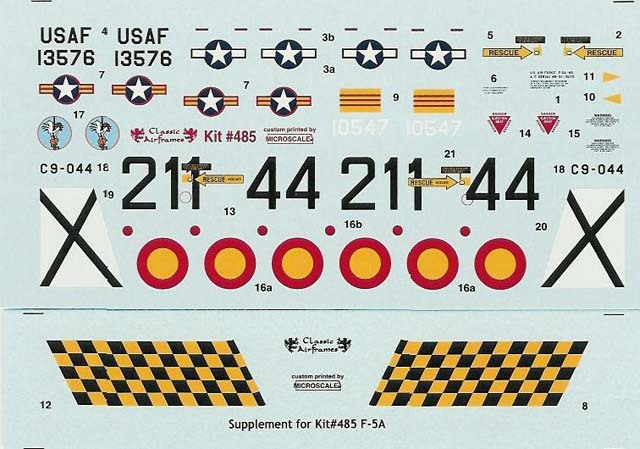 Finally, a set of stencils is provided with wing-walk marking lines in both red and black. 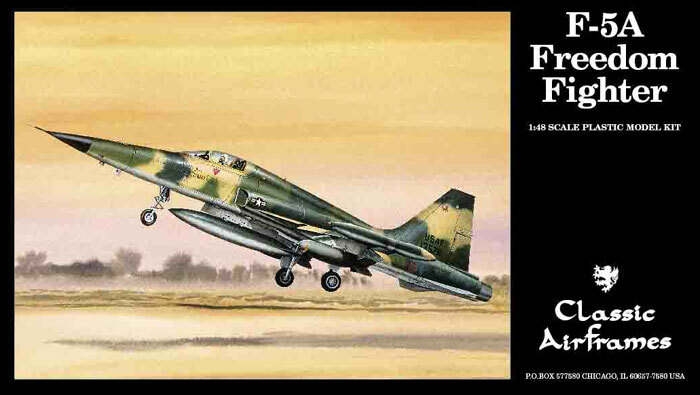 Many modelers have been waiting for the release of the Classic Airframes F-5A, B and RF series, and hopefully they will not be disappointed with these kits. 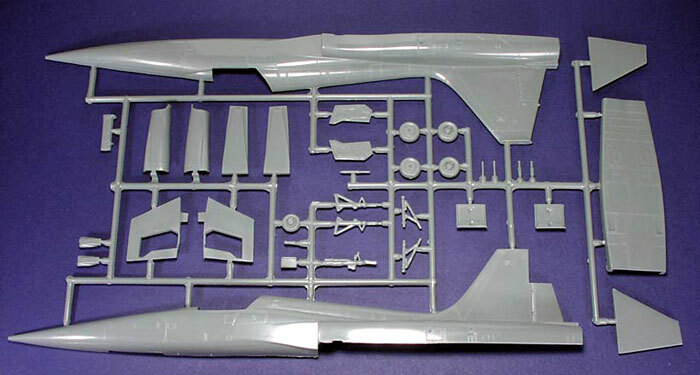 At the moment only the two F-5A kits have been released in the United States. The RF5-A, which has been released in the UK, will hopefully be released here in the U.S. in the not too distant future. This appears to be an excellent kit, and from my brief fondling of the pieces, it looks like a kit that even a relatively inexperienced modeler can handle. Considering the relatively small size of the molding blocks on the resin pieces, this would seem to be a good kit for introducing a modeler to mixed media kits. Finally, it is a pleasure to see that amateur modelers were actually involved in developing these kits. A few of them are even frequent visitors to Hyperscale. I have only one reservation about building this kit. Will the gods of prop aircraft do mischief to me while I build it? Thanks to Classic Airframes for the review sample.